Did you know that instant film cameras are still being made? Fujifilm's line of Instax cameras has been trying to weather the digital storm, and it's now releasing a new Instax camera that has a whole lot more style. FujiFilm Japan has published a site showing off the Instax Mini 90 in all its vintage glory, going hand-in-hand with its popular line of X-series mirrorless cameras. It's not clear yet how much the device will cost, or even whether it will be available in the US when it is released on September 20th. But we hope it is, because it looks quite nifty! 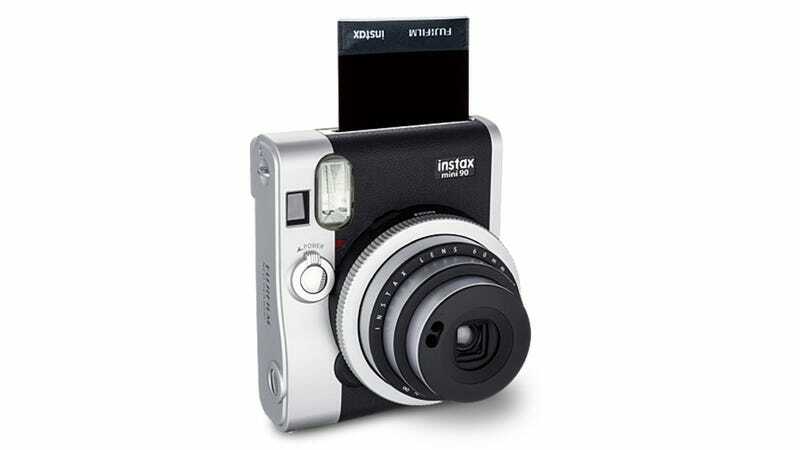 The Mini 90 of course uses Fujifilm Instax film, which is about 2.13" x 3.4" image. It boasts features such as a macro mode, and double-exposure shooting, and bulb mode for up to 10 second exposures.